I came across this story that was in the news. Two drunks were messing around when one challenged the other to shoot him with cigarette butts. He wanted to see what it would feel like! His friend loaded an antique rifle with cigarette butts, placing balck powder behind the butts so that they would be fired from the rifle. He then shot his friend from a distance of 2 metres. The butts penetrated the ribcage of the person who wanted to experience being shot by cigarette butts. 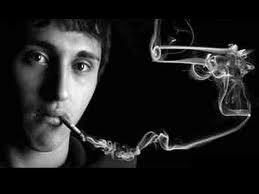 He died of three cigarette butts penetrating the heart. 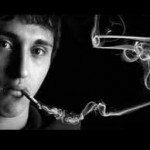 Fortunately we do not use this method to quit smoking at quit smoking expert, however smoking is just like pointing a gun to your head.